So it’s pretty crazy to me that the official first day of summer was two weeks ago. Because it’s been summer for about 4 months in Georgia! This Ohio girl is not used to this Georgia heat and from what I hear, you never get used to it. I guess it’s all about learning to adjust. Or staying in the air conditioning or pool, right? Anyways! 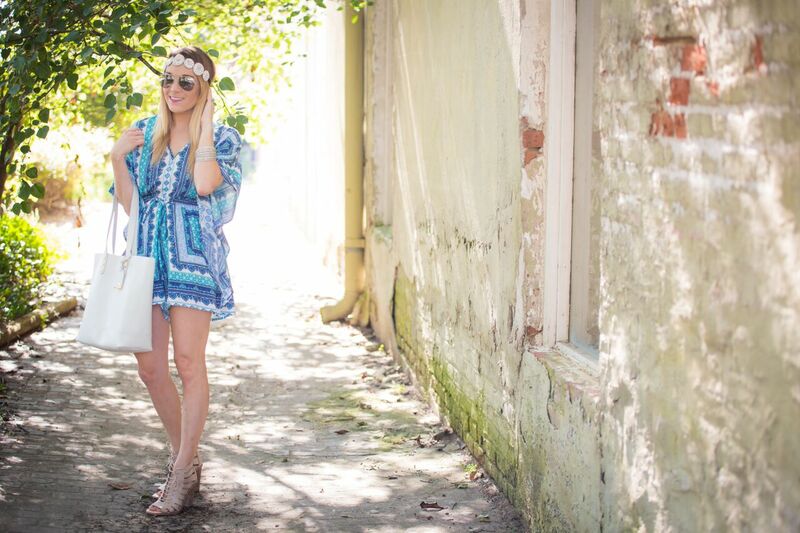 Let’s get to the real reason we’re here today… summer fashion! One of the cool things I get to do as a member of the Burlington Style Squad is share some of my favorite finds from Burlington with you! 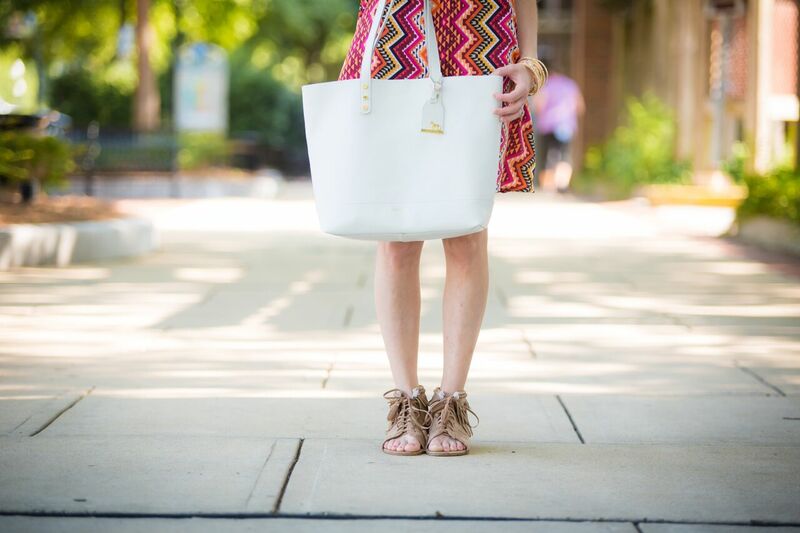 I headed to Burlington for a summer haul and I can’t wait to share it. You can watch the video but I’m going to break it all down for you here too. Side note: this was my first real “vlog” and it was super nerve wracking! Mad props to all the YouTubers out there… it’s harder than it looks! 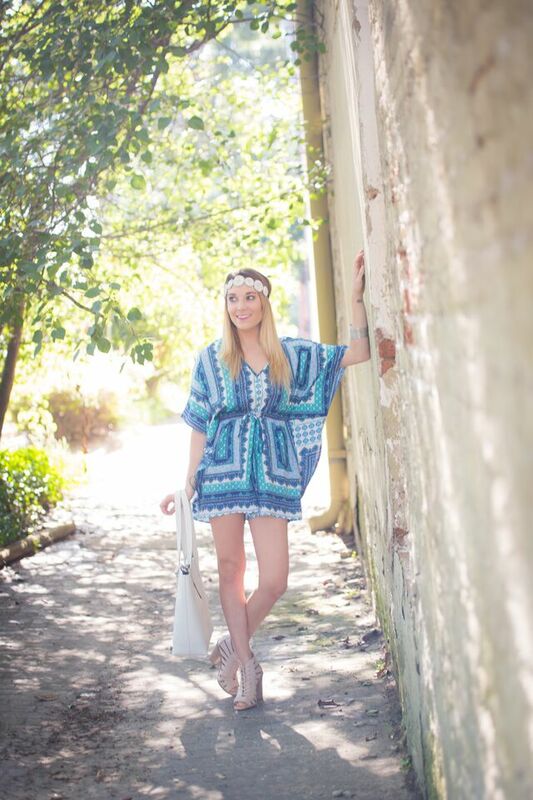 Dress-$9.99: Aztec and tribal prints are super popular this summer season. Most pieces are brightly colored and that’s probably one of the reasons they’re so popular. But I loved the cut and style of this dress, not to mention how light it is. 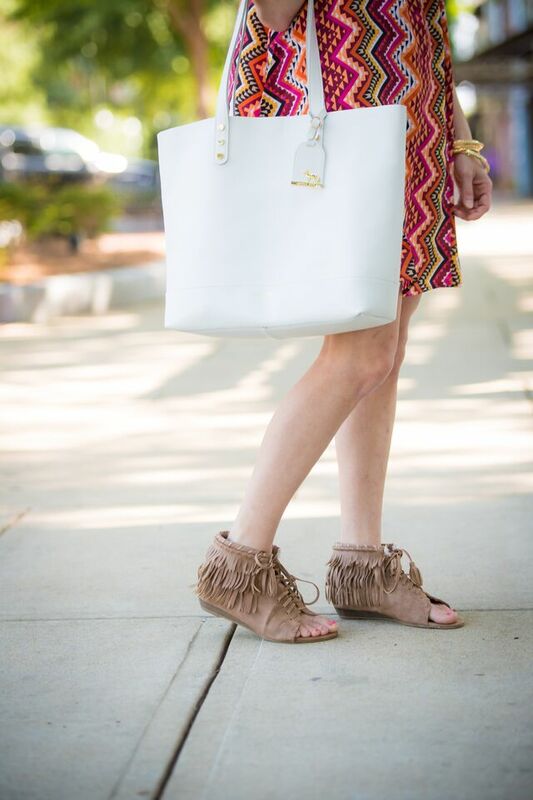 Shoes-$14.99: I paired it with these fringe booties/sandals because I loved how unique they were. They were also super comfortable which is a huge win in my book. Bracelets-$6.99: I picked up this pink and gold stack because I liked the different styles of them and knew I could wear them with a lot of different things. Romper-$14.99: Rompers are HUGE this season. Long sleeve, short sleeve, patterned, plain, whatever. 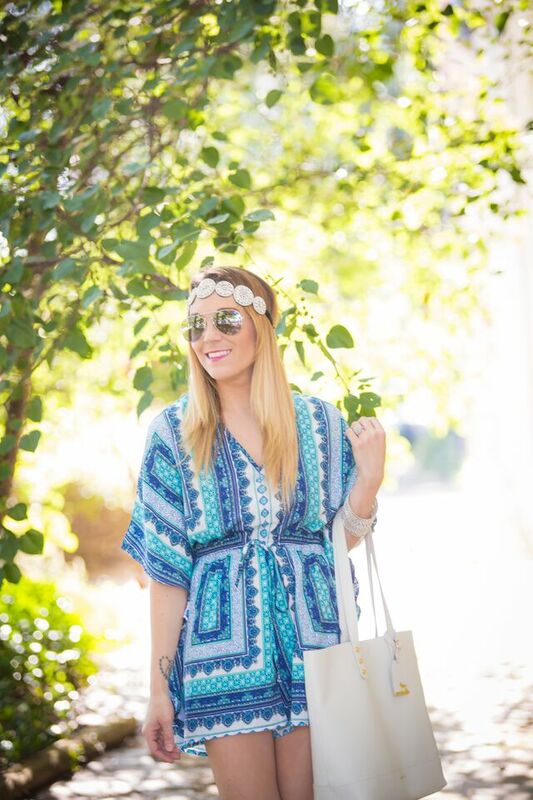 You need a romper in your life. I loved this one because this blue and white are really big this season and it reminded me of a beach. If you’re worried about it being too short, grab a pair of lace extending shorts! Bracelets-$4.99: You can’t go wrong with a simple stack of silver bangles. These blue and teal colors are cool tones, so I wanted to stay with silver accessories. Top-$5.98: Graphic tees have been popular since the spring and I don’t think they’ll ever go out of style. At least not for awhile. You can wear them with shorts, skirts, jeans, whatever. Stock up… they’re an easy statement piece! 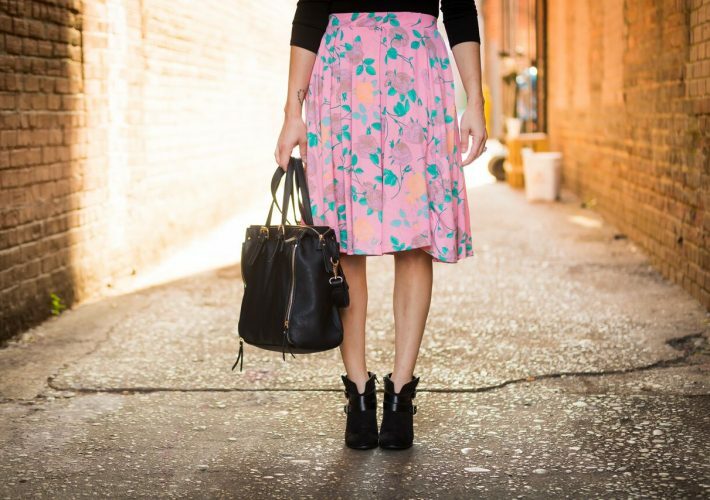 Skirt-$11.98: Does this not remind you of Carrie Bradshaw? 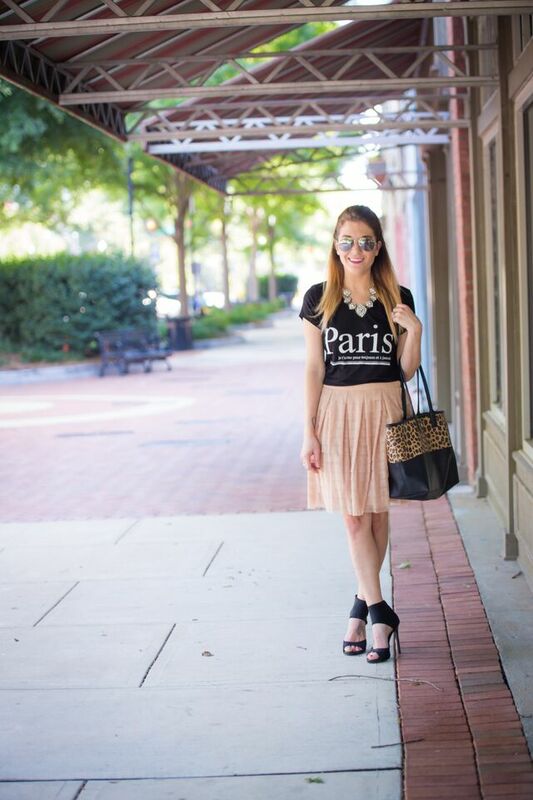 I love it because it’s not your typical tulle skirt. 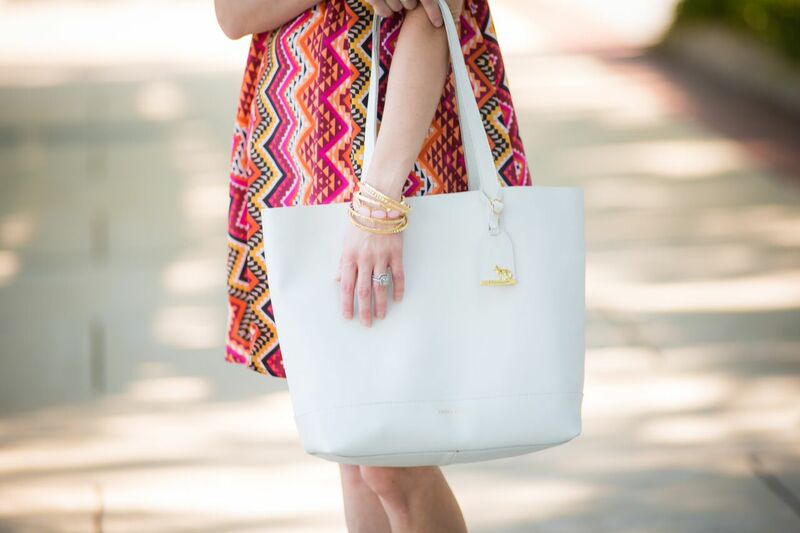 I love the pattern and the color… perfect for a light and fun summer evening outfit. I purchased all of these items for less than $120… and that’s including tax! How crazy is that?! Burlington had a ton of fun stuff and had my kids not been screaming to leave, I probably would have walked away with a lot more. 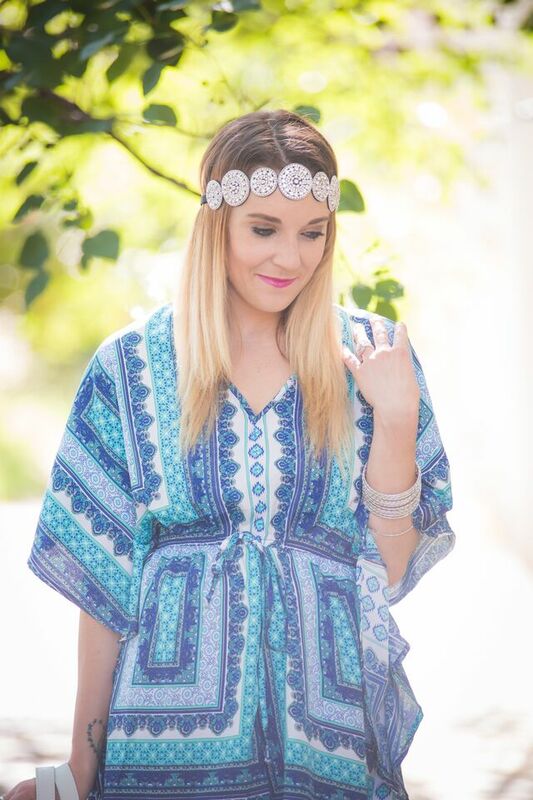 But I hope these outfits give you some inspiration to get your own summer style on! Be sure to subscribe to my YouTube channel and let me know what you think! What are some of your favorite summer trends?